Cream dory is a relative of the hito and the kanduli. But whereas the kanduli is silver, the cream dory is silver and black. 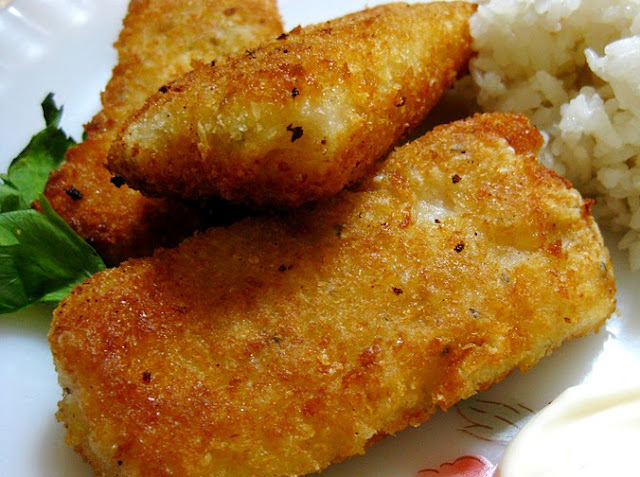 What sets a Cream Dory fish apart from the ranks of tilapia or bangus is that it has a mild taste and soft, silky and almost melt-in-your-mouth texture (if prepared just right). 1 Wash the frozen fillets in running water. Pat dry. 2 Prepare the marinade. Mix the kalamansi juice, soy sauce, chopped celery or basil leaves together add pepper to taste. 3 Slice the fillets into 1 inch thick and marinate in the mixture. 4 Prepare the pan in the stove, pour enough oil for pan frying. 5 Dip the fillets into the slightly beaten egg. Drench in flour. A great recipe, :-) if viewed image, in 'Mempawah-Indonesia' could be similar to the soles, tasty and savory.